When troubleshooting set-top box issues, having more information available can make it much easier to find out the problem that your customer is experiencing. 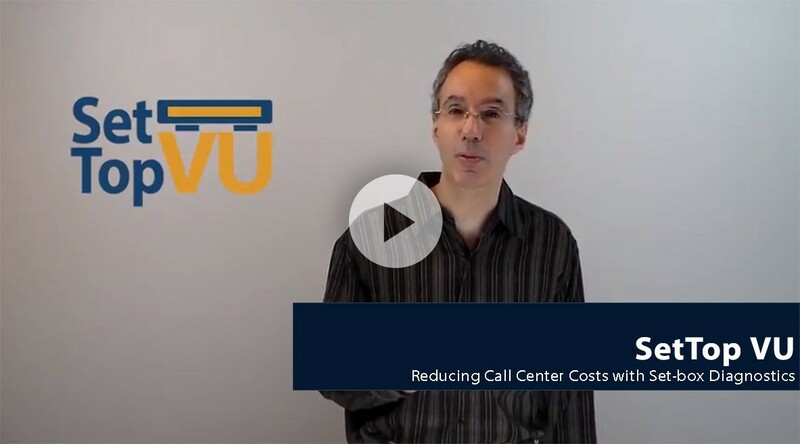 SetTop VU allows your customer support to view key set-top diagnostics data to get them started on the path to reducing call center costs and creating a favorable customer experience. Watch this video to learn more.